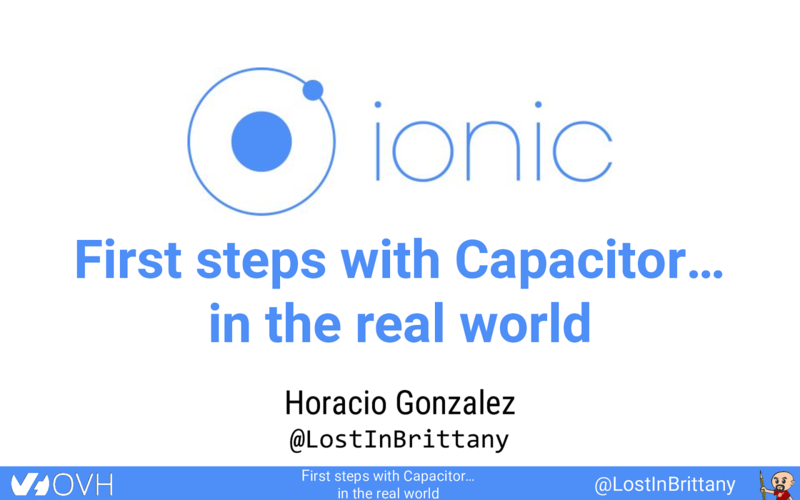 View First steps with Capacitor… in the real world on Notist. Well, not really for me, at least at the beginning. After having developed lots of PWA these last years, I was a bit skeptic about the pertinence of native or hybrid apps, so when I heard of Capacitor I put it in the cool techno not really for me basket. Until I when to the website and I read: “Build web apps that run equally well on iOS, Android, Electron, and as Progressive Web Apps”. Oh, that really grabbed my interest. So I decided to use Capacitor on some of my PWA projects, to see if I could transform them in native iOS or Android apps. And this talk is the feedback of this process, my first steps with Capacitor in some real life applications, what did work for me and what didn’t, and what I learnt in the process.